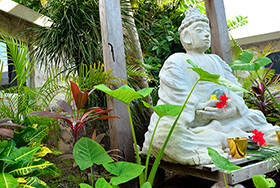 In the heart of the Riviera Maya, serving the Akumal community for over 12 years, is Budha Garden Spa. A boutique Day Spa dedicated to pampering you to the fullest! Enjoy the tranquility ambience of tropical zen gardens and flowing waters while being pampered by experienced professional spa technicians. 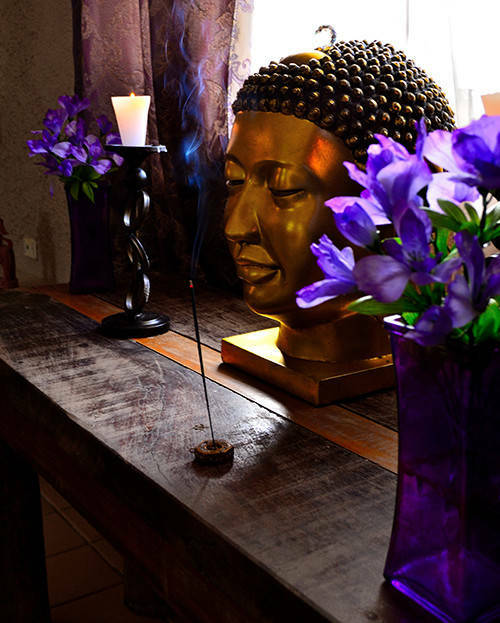 Budha Gardens is a perfect place to relax with exotic and traditional treatments, making time for yourself, or with your friends. Our Budha Gardens Spa menu includes complimentary use of gardens, hammock area, and herbal tea of your choice, making this a truly spa experience! * Deep tissue & Swedish Massage, Hot Stone Massage, Aromatherapy Massage, and more! * Luminous Facial Rituals, Body Scrubs and Wraps. * Couples can experience massages and romantic spa treatments together. * Group bookings and gift certificates available. * Spiritual blessings, cleansings, and temazcal available; inquire within. Steps away from waters edge of Akumal Bay. Planning a trip? Make a reservation to guarantee service availability. We accept dollars or pesos.